Enough of the top ten lists, what’s your ‘Vehicle of the Decade’? In just a few hours, the Naughties will be no more. And while we're all for looking back on the decade that was with rose-tinted glasses, our critical eyes inevitably fall to the vehicles released in the last ten years. There was a balanced amount of successes and disappointments, but rather than come up with yet another top picks list, we decided it would be best to pose the question to you: What's your vehicle of the decade? Naturally, we've got our own picks, but at the end of the day, it's your opinion matters most. So sound off in Comments before you head out on the town and enjoy the final moments of one of the most compelling decades in automotive history. Enough of the top ten lists, what's your 'Vehicle of the Decade'? originally appeared on Autoblog on Thu, 31 Dec 2009 20:00:00 EST. Please see our terms for use of feeds. Do not even watch this video if you have a heart condition or think you might be pregnant, for it includes the following graphic material: Goading Michael Schumacher into driving like a maniac in a Ferrari 599 GTB; shooting my Cadillac with machine guns, at night, using tracer bullets; jumping a Subaru; jumping off a sand dune without a Subaru; Lamborghini doughnuts; shots of speedometers reading x-tremely high speeds. And there's even more. Your ticket buys you the whole seat, but trust me when I tell you that you'll only need the edge. provides the soundtrack - fair warning. 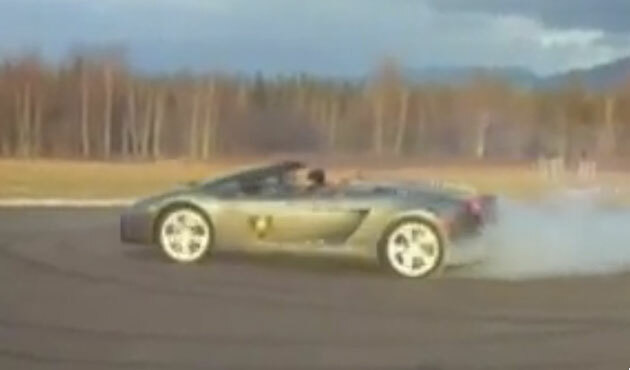 Video: Dyer's most eXtreme moments of 2009 originally appeared on Autoblog on Thu, 31 Dec 2009 19:01:00 EST. Please see our terms for use of feeds. Report: Kansas to cease allowing motorists to have ‘duplicate’ personalized plates. Wait, wha? 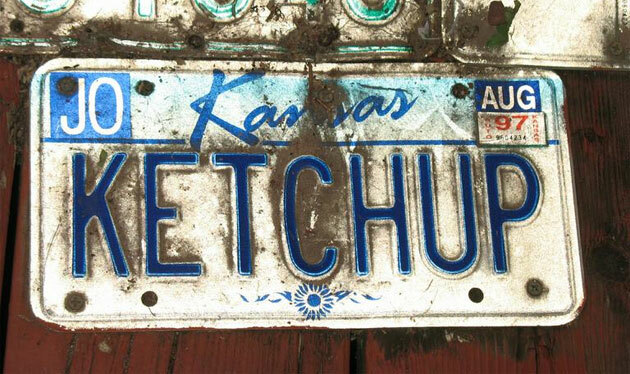 Kansas is revamping the way it issues vanity plates, and it means a lot of residents are going to lose their 'duplicate' personalized plates. They're not really duplicates, though: Unlike most states, Kansas allows people in different counties to have the same alphanumeric combination, so while the tags might appear to be copies, they are registered in different counties and that technically makes them different plates. According to Kansas.com, the problem with that strategy is that law enforcement officials in hot pursuit have a hard time reading which county a car's "JAYHAWK" plate is registered to, so they have been behind the push to change the policy. The Kansas DMV is in the process of figuring out who registered each of these 'duplicate' plates first, and then it plans to send letters to anyone else with that same alphanumeric combo to let them know they can't renew it. Just as novel as finding out Kansas allowed multiple copies of a tag in the same state was the list of the top ten vanity plates chosen. It's arguably embarrassing that the number one plate is "HUSKERS," which amounts to cheerleading for a team in another state, like "SOONERS" in the seven spot. The home team, "JAYHAWK" comes in second, followed by Larry the Cable Guy's slogan, "GITRDUN," which is more popular than the Kansas City "CHIEFS" in number four. Ah, Kansas, what are we going to do with you? Hat tip to Dude! Report: Kansas to cease allowing motorists to have 'duplicate' personalized plates. Wait, wha? originally appeared on Autoblog on Thu, 31 Dec 2009 18:00:00 EST. Please see our terms for use of feeds. Depending on where you happen to live on the planet, two-wheeled transportation may be anything from a year-round necessity to a few-months-of-the-year hobby. Right about now, at least half of all motorcyclists here in the United States have their scooters and motorcycles packed warmly away in the garage. But does it have to be that way? Well, that partially depends on your penchant for excitement and snow sports. We remember having all kinds of fun on snowmobiles in our teen years, and after watching the video after the break, we have a new obsession to look forward to: snow-scooting. That's right, remove the front wheel of your scooter, replace it with a ski and add a nice, knobby tire out back. Instant snow-scooter! Best of all, the machine from Govecs Slidescooters featured in today's video is electric, so there's no noxious exhaust to spoil America's pristine natural surroundings. Oh, and we apologize in advance for the soundtrack. Turn the volume down and check out the video after the jump. 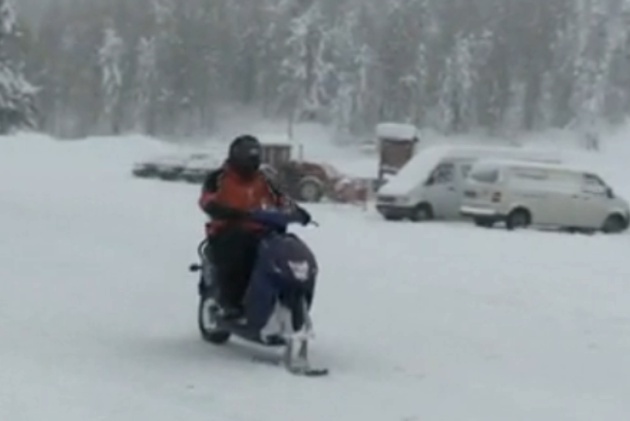 Video: Electric scooter gets the Snow Kit Solution originally appeared on Autoblog on Thu, 31 Dec 2009 16:55:00 EST. Please see our terms for use of feeds. Lock Those Doors: New Year’s Day the worst holiday for stolen cars? Maybe it's the mass inebriation that makes it easier, but New Year's Eve is apparently hottest holiday for car theft. If the whole world is already sleeping it off, there's no way anybody is going to pay heed to your stupid alarm, perhaps. As proof, our corporate cousins at AOL Autos breaks down the car theft rates for various holidays, and New Year's bookends the list of eleven days. While New Year's Eve is relatively quiet, New Year's Day is three times as active. The second-most active car theft day? Labor Day - again, another event that tends to involve plenty of imbibing and a good dose of "hey, watch this." With Halloween in third, it would be interesting to see how many of these thefts were mere joyrides, and how many were determined thieves looking for 1994 Honda Accords (the most stolen car last year) to feed the chop shops. Many cars are easily stolen because of a lack of owner vigilance. Things like leaving your keys inside the car, even if it's just at home, are about the same as a blinking neon sign on the roof saying "steal me." Josh Max works up a good list of Dos and Don'ts - and if you don't want your car stolen this New Year's season, AOL Autos has tips, whatever the reason. Lock Those Doors: New Year's Day the worst holiday for stolen cars? originally appeared on Autoblog on Thu, 31 Dec 2009 16:01:00 EST. Please see our terms for use of feeds. In a far-reaching interview with AOL Autos this morning, Spyker Cars CEO Victor Muller revealed some interesting tidbits about his company's plan for Saab if they can successfully negotiate for its purchase from parent company General Motors. In a product plan that sounds distinctly like those previously floated by Saab executives in Sweden, the Dutch supercar builder would have Saab rebuild its brand around the 9-3, new-for-2010 9-5, and the 9-4X crossover. An entry-level 9-1 model would not be a consideration, although Muller admits he'd still love to build a production version of 2006's celebrated Aero X concept (shown above). If Saab were to go that route, Spyker's experience in building low-volume supercars would clearly be an asset in bringing it to market. In news that will surely be welcomed by Saab dealers and customers, Muller says Spyker has decided it would not pursue plans to winnow Saab's U.S. dealer network from 218 showrooms to 137. 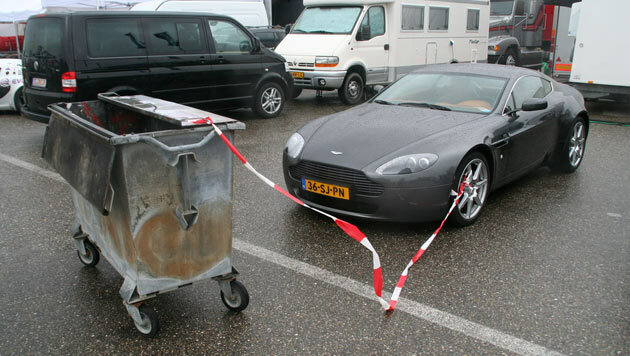 In fact, the Dutch businessman suggests that it would be reasonable to expect Spyker to sell its own cars within Saab showrooms in the future (they are presently distributed through Bentley and Lamborghini outlets). Down the road, Spyker's supercars could benefit from Saab's all-wheel drive expertise, among other things. Naturally, all of this future product discussion will be moot if Spyker and its investors can't get GM to hand over the keys to the perennially embattled brand. A newly extended deadline for sales negotiations to be completed was set by GM on Wednesday, and we should know not long after January 7 what fate awaits the brand. Report: Spyker would preserve Saab product plans, could sell own supercars in select dealers originally appeared on Autoblog on Thu, 31 Dec 2009 14:56:00 EST. Please see our terms for use of feeds. The North American International Auto Show is typically the big show for Detroit-based automakers and 2010 appears to be no different for General Motors. Chris Preuss, GM's vice president of communications, has hit Twitter confirming that each of the General's four brands will have at least one vehicle to display at the Detroit Auto Show next month. As expected, Cadillac will unveil the 2011 CTS-V coupe along with a concept version of its XTS sedan, a model slated to replace the aging DTS in the next year or two. GMC will unleash the Granite, which, according to earlier reports, will be based on the Delta platform and the forthcoming Chevrolet Orlando. Chevrolet figures to have a somewhat quieter show, with its big reveal being the Aveo RS, which we hear is all-new and very little like the narrow and unattractive B-Segment hatch GM is selling now. Buick will be chasing the ghosts of Grand Nationals and T-Types past with a performance variant of the 2011 Regal that may share a lot of parts with the 325-horsepower Opel Insignia OPC. We can hardly wait for January 11. GM exec confirms Cadillac XTS, GMC Granite, Chevrolet Aveo RS for Detroit via Twitter originally appeared on Autoblog on Thu, 31 Dec 2009 14:01:00 EST. Please see our terms for use of feeds. AB Asks: What are your New Year’s automotive resolutions for 2010? About this time every year, news outlets like ours wax nostalgic over the past year, compiling the highlights, lowlights, bloopers, and everything in between that happened in the last 365 days. Notes are compared, calendars dates are circled, lists are conjured. Understandably, other than leaving you with 100 of our greatest automotive photographs this year, we'd largely prefer to forget this year in automotive history altogether, soaked as it is with red ink and spattered with the blood of fallen brands. So instead of rehashing the past, we'd like to hear what your automotive-themed New Year's resolutions are for 2010. Do you plan on buying a new car? Finally taking up autocrossing? Mastering the art of the Scandanavian Flick? 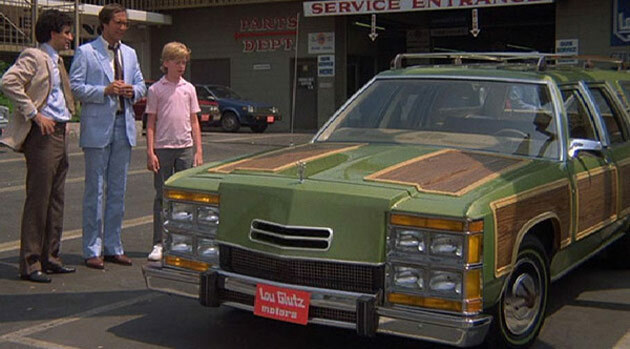 Take the fam on a road trip that follows the route in National Lampoon's Vacation? Perhaps you have more modest goals - learning how change out your spark plugs, say, or finishing that Testors model kit gathering dust on that shelf in the basement. Maybe it's just scraping out that crud that has mysteriously congealed in your cupholders or finally beating your nephew at Mario Kart. No matter how big or how small, we want to hear about your automotive plans for 2010. Drop us a line or two in Comments... and have a safe and happy New Year's! AB Asks: What are your New Year's automotive resolutions for 2010? originally appeared on Autoblog on Thu, 31 Dec 2009 12:56:00 EST. Please see our terms for use of feeds. We're a privileged bunch here at Autoblog. We drive some pretty amazing cars and go to the world's best automotive events. Of course, it's our job to not just keep these experiences to ourselves, but let others enjoy them as well. Our cameras are perpetually in hand, capturing the best moments of each test drive, auto show, auction, race and everything else to share with you, our faithful readers. With 2009 coming to a close, nothing reminds us more of how lucky we are than browsing through the thousands of photos we've taken ourselves throughout the year. Of course, we wanted to share the memories with you as well, so we picked out our favorite images taken by the Autoblog team in the last year and put them in one big gallery. We've also included a link to the original story from which each image was pulled, just in case you missed out the first time. 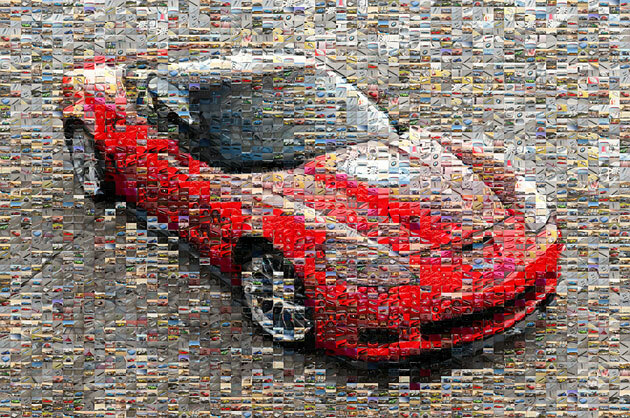 So to honor the year that was, we give you Autoblog's top 100 photographs of 2009. Enjoy, and let us know which are ones are your favorites! For nostalgia's sake, feel free to also check out the top 50 photographs of 2008. All photos copyright (C)2009 Autoblog / Weblogs, Inc.
Autoblog's Top 100 Photographs of 2009 originally appeared on Autoblog on Thu, 31 Dec 2009 11:54:00 EST. Please see our terms for use of feeds. Saab enthusiasts planning rally at GM HQ? After canceling a earlier deadline of December 31, General Motors has given potential suitors until January 7 to come up with a bid for Saab or the storied Swedish brand will go the way of the dodo. On a business level, the move to rid itself of Saab makes sense. 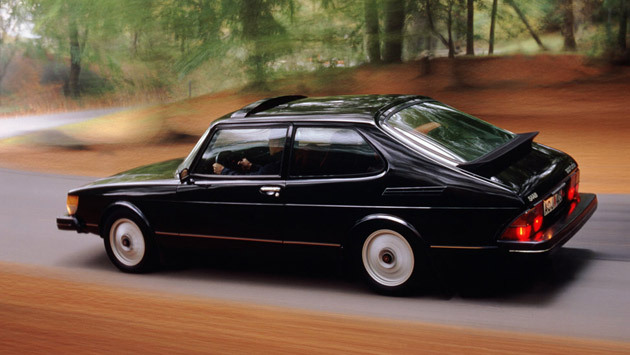 Saab is a perennial money loser and it has never quite figured out how to handle the brand. At this point, about the only possibility for Saab to escape the guillotine is for Spyker Cars or another bidder to somehow come up with a satisfactory last minute bid- or is it? The brand enthusiasts at Saab History are trying to stage a last minute rally of their own - only instead of a bid for the company, these fans are looking to rally at GM's Renaissance Center headquarters in Detroit, hoping that a show of force will help keep the doors open in Trollhättan. The goal is to assemble an impressive show of force just hours prior to the General's January 7 board meeting that will determine the fate of the brand. The directions are simple. Get to GM headquarters, park your Saab, get some group photos and talk to the press. The hope of the rally is that GM's board members will see the outpouring of support for Saab and somehow push harder to make a deal a reality. While that sounds nice - and probably fun - like the hoped-for agreement with Spyker itself, it remains to be seen whether the plan can be seen through. After all, the rally suggestion was floated just yesterday, and thus far plans are in their infancy. That said, we've seen car enthusiasts scrap together more with less, so this is something worth keeping an eye on. Interested in learning more? Click on the link below. Saab enthusiasts planning rally at GM HQ? originally appeared on Autoblog on Thu, 31 Dec 2009 10:58:00 EST. Please see our terms for use of feeds.